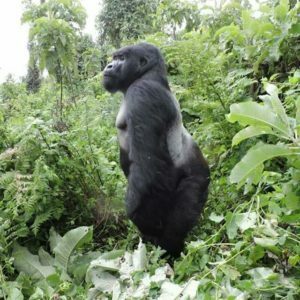 Uganda Gorilla Tours Mountain Gorilla Trekking Safaris Rwanda and Congo Safaris 2019 Gorilla permits are guaranteed by Katona Tours and Travel all days of the year . 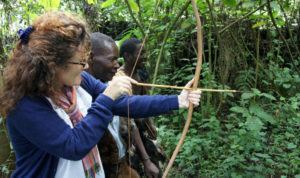 Enjoy a guided 2019/20 Rwanda Uganda Gorilla Tours,Uganda Gorilla Trekking Safaris Tours, DR Congo Tours, Cheap Uganda Safaris Tours,Budget Bwindi Gorilla Wildlife,Birding in Uganda,Congo Gorilla Tours with Katona Tours and Travel Buy gorilla permits for parc des volcanoes national park-Rwanda, Bwindi gorilla forest & Mgahinga national park-Uganda and Virunga park -DRC.Congo for gorilla trekking, chimpanzee, golden monkey tracking, birding watching excursions, game viewing, mountain hiking etc. With Katona Tours and Travel, you can Book the most enjoyable Uganda Gorilla Tours or Gorilla Safaris in Bwindi Gorilla Forest National Park and Mgahinga Gorilla Park of Uganda. 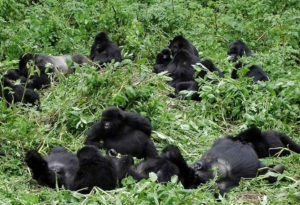 Find out the best Gorilla Trip to book in order to have the best Gorilla Trekking Experience. Destination include; Volcanoes National Park for Gorilla Treks , Akangera National Park for Wild life viewing , Nyungwe Forest National Park for Canopy walk, Chimpanzee tracking, Golden Monkey tracking, Black and white colubus Monkeys. Enjoy guided gorilla trekking tours in Rwanda and we offer our safaris tours at unbeatable prices and with unparalleled value. 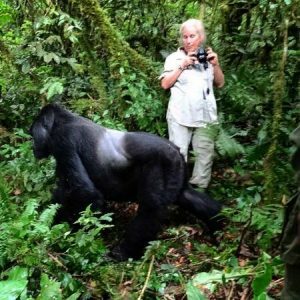 The 1 Day Gorilla Trekking Safari Tour Uganda is the cheapest of all of the Best Gorilla Tracking Tours. This Gorilla Tracking Safaris can start from Kigali or from Kisoro Uganda and the trekking is done in Mgahinga National Park. The Nyakagezi Gorilla Group is the only Gorilla Family in Mgahinga Park which is also done in the Areas of Mt. Mgahinga Volcano. The hiking is also done in the open forest of Bamboos. The Nyakagezi Gorilla Family has got huge members of the back sliver and silver back. Trekking these Gorillas takes 1 to 3 hours. To book Gorilla Permits or space on the Best Gorilla Tours, Contact Katona Tours and Travel for the Best Quotation. Join our Uganda Safari and Uganda Tours which is suitable for solo Travelers or Group Tourists at very affordable prices or low rates. Our Uganda Tours range from Budget, Mid-range and Luxury Lodges during a Uganda Safari. During Uganda Safari Tours, Tourists get a chance to view wild life in Uganda's National Parks which display the best East Africa has to offer. Their Rift Valley landscapes and tropical forests witness the incredible flora and fauna Uganda has. Book the 1 Day Gorilla Trekking in Congo Virunga National Park where gorilla permits cost 400USD per permit for Democratic Republic of Congo. Reserve space for Gorilla Tour and Gorilla Safari to Congo, also get a chance to visit and Hike the Nyiragongo Volcano.is a cheap Gorilla safari in Virunga park of Congo. This 1 Day Gorilla Safari begins early morning with a Pick up from Ruhegeri and Gisenyi /Rubavu near Lake Kivu Rwanda at 4:00 am where as Pick up from Goma is at 6:00 am local time.